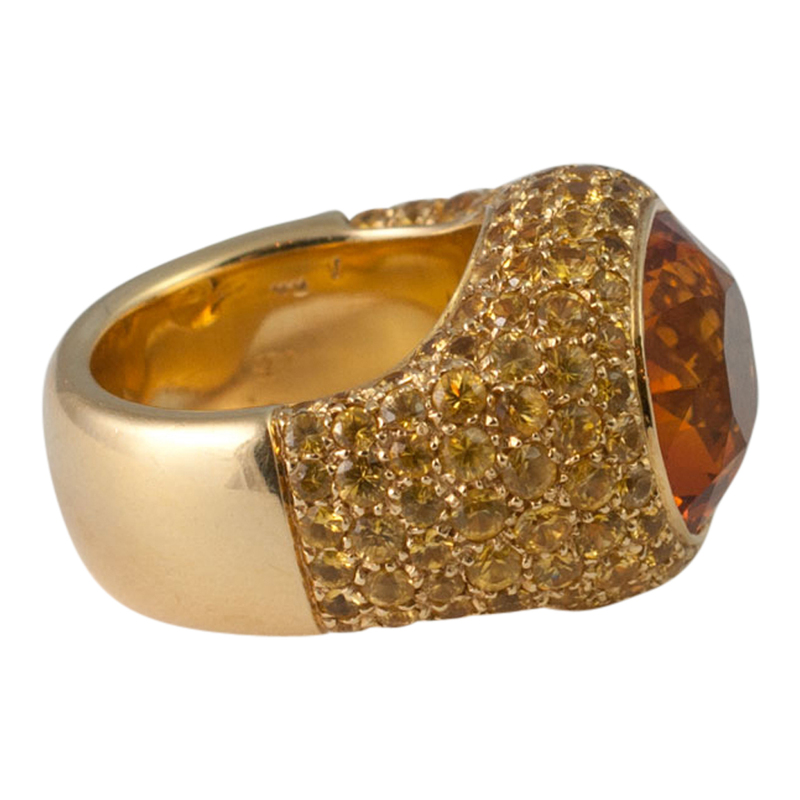 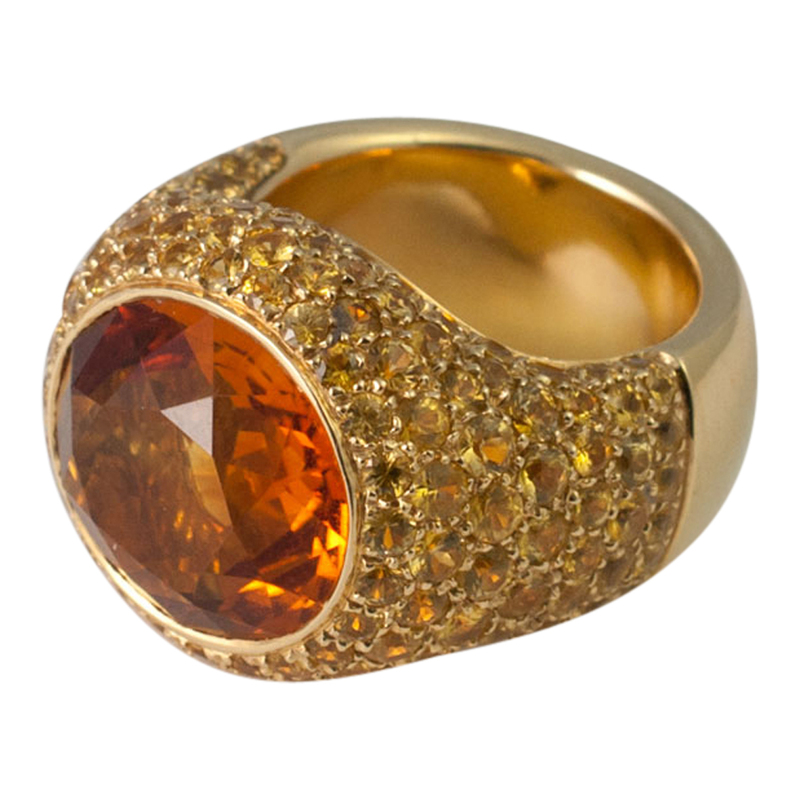 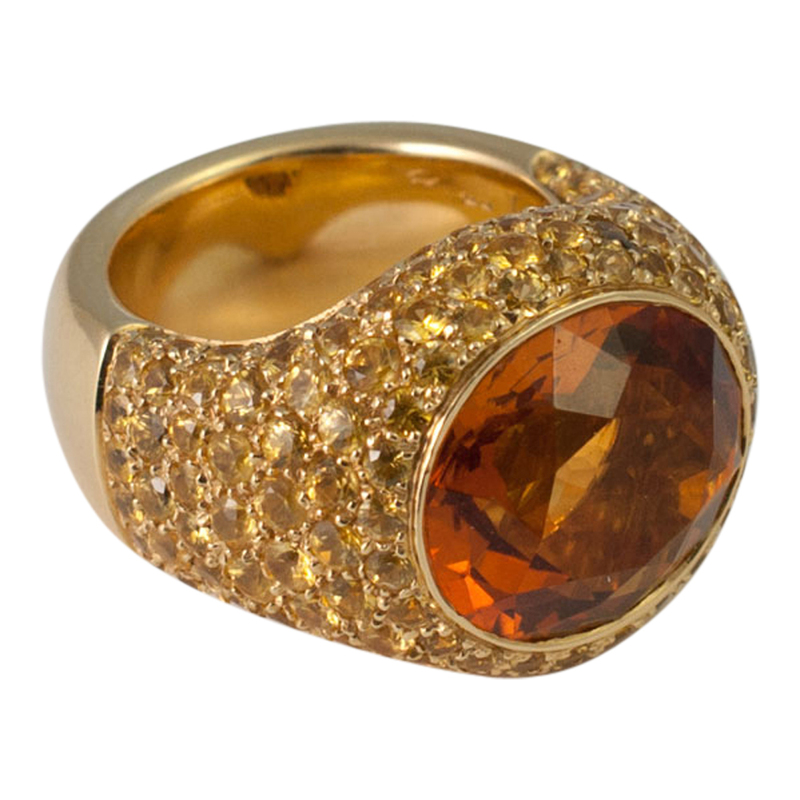 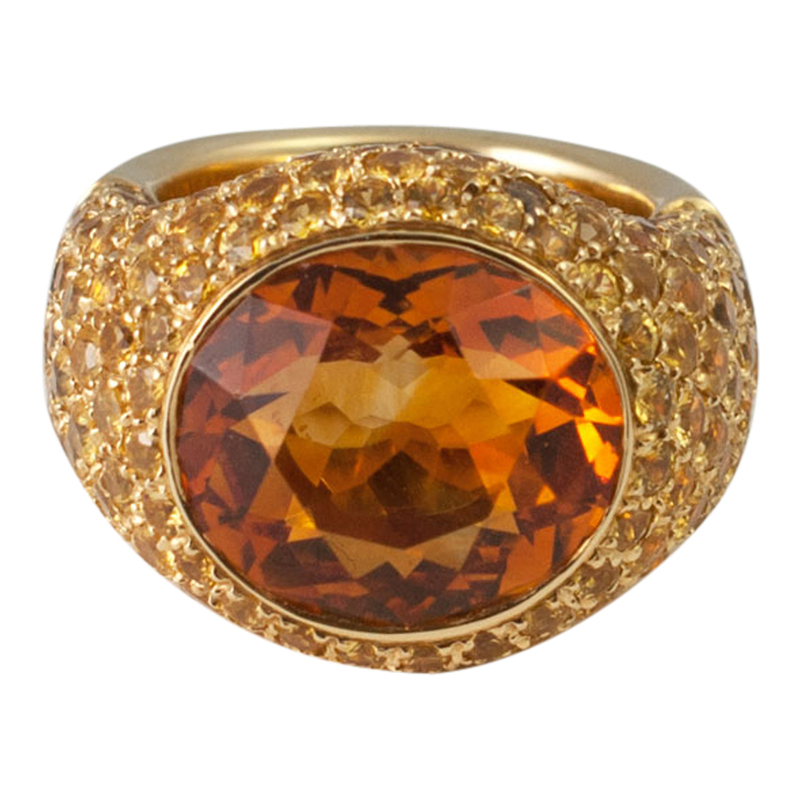 Big, bold and dramatic yellow diamond and citrine bombé cocktail ring; the deep orange citrine weighs 13.20ct and is surrounded by pave set yellow diamonds totalling 5cts. 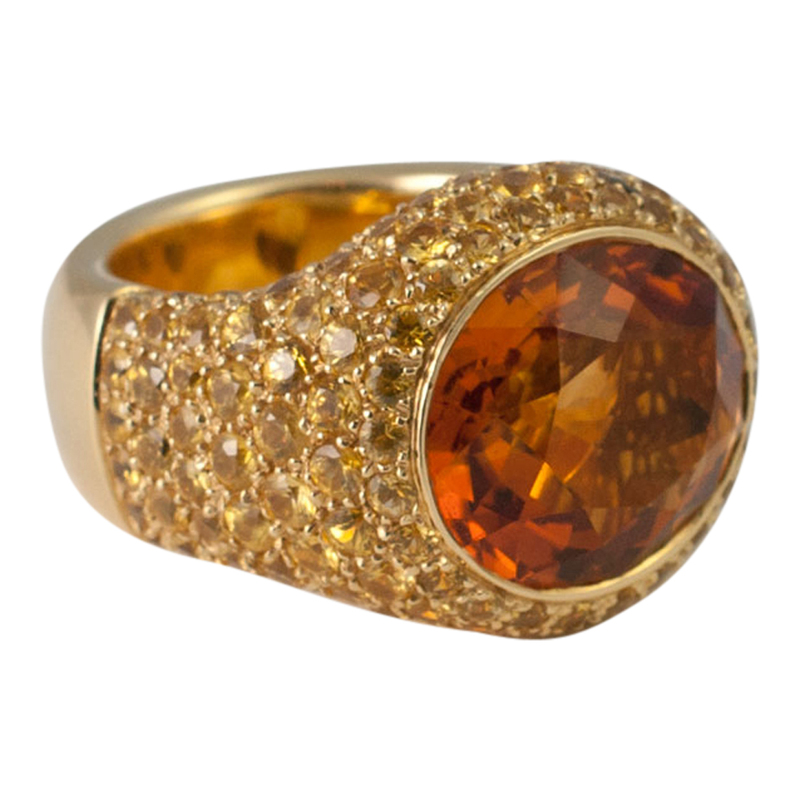 Looking from behind, there is a cut out, off set heart to let light into the citrine which measures 1.7cm x 1.3cm, depth of ring 1.80cm. 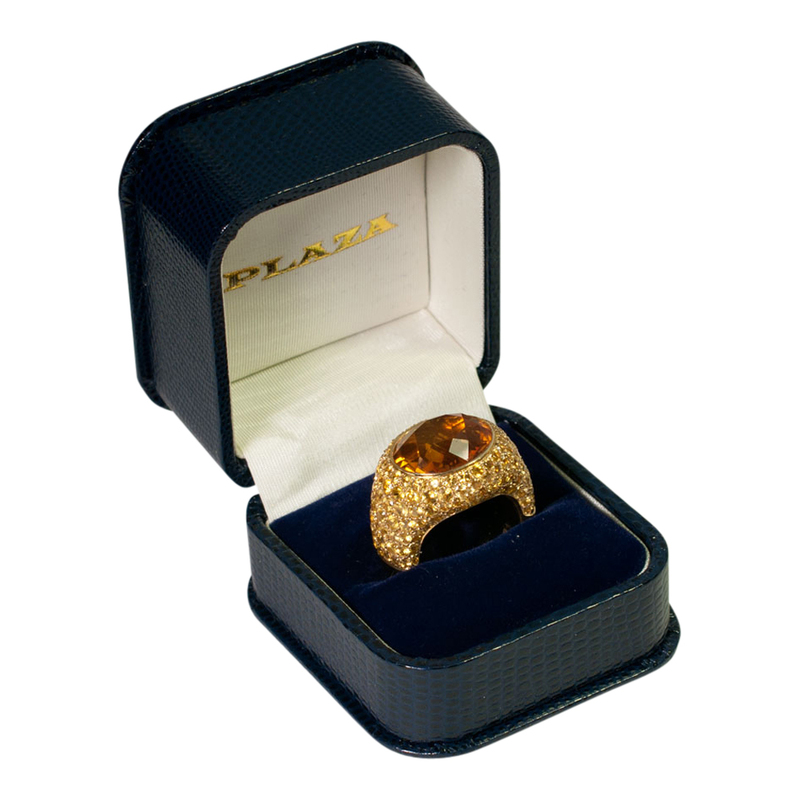 Weight 23.1gms. 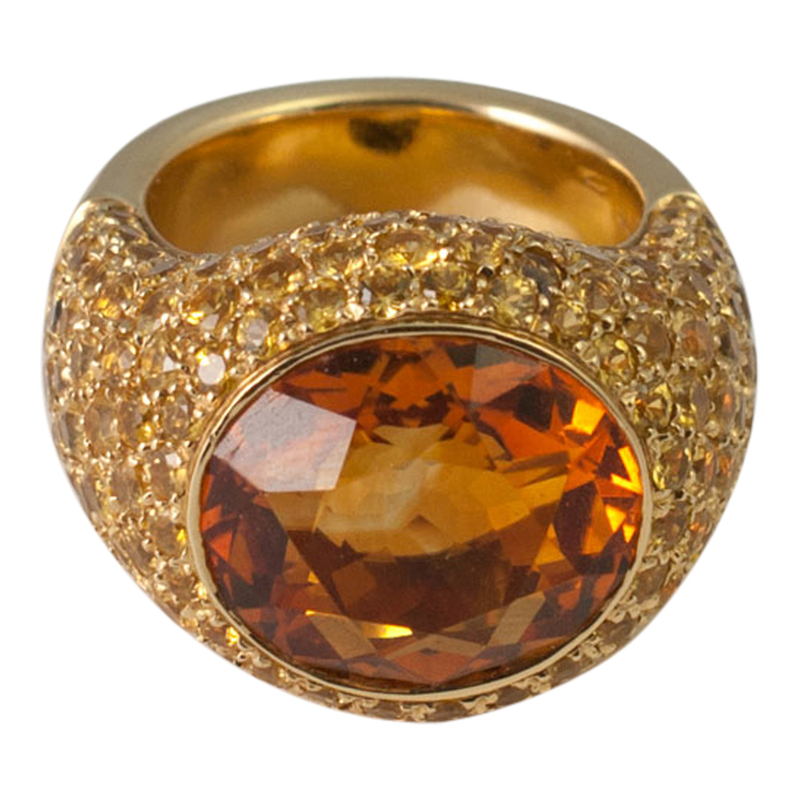 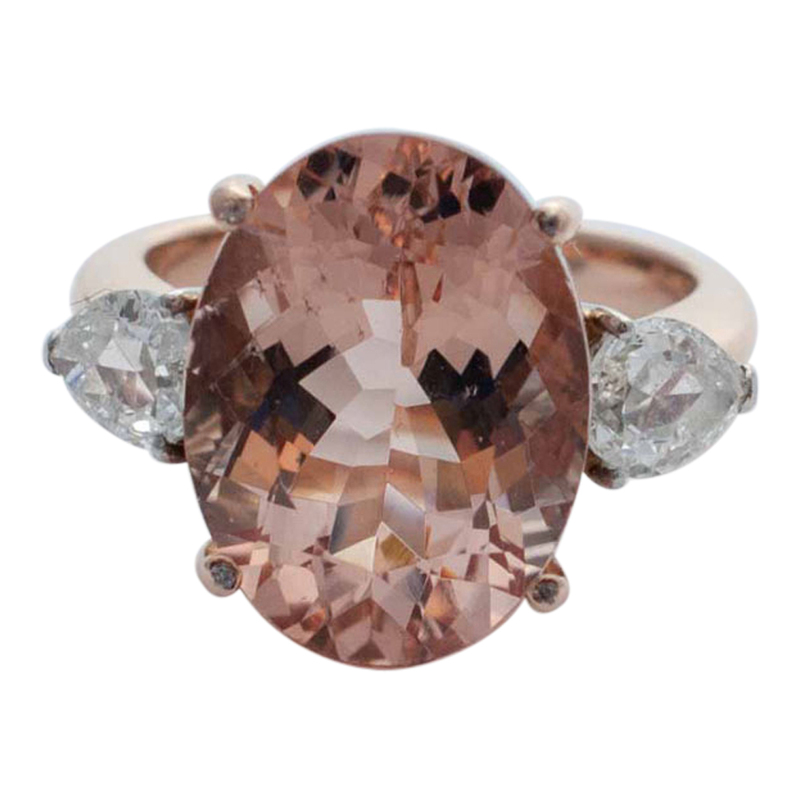 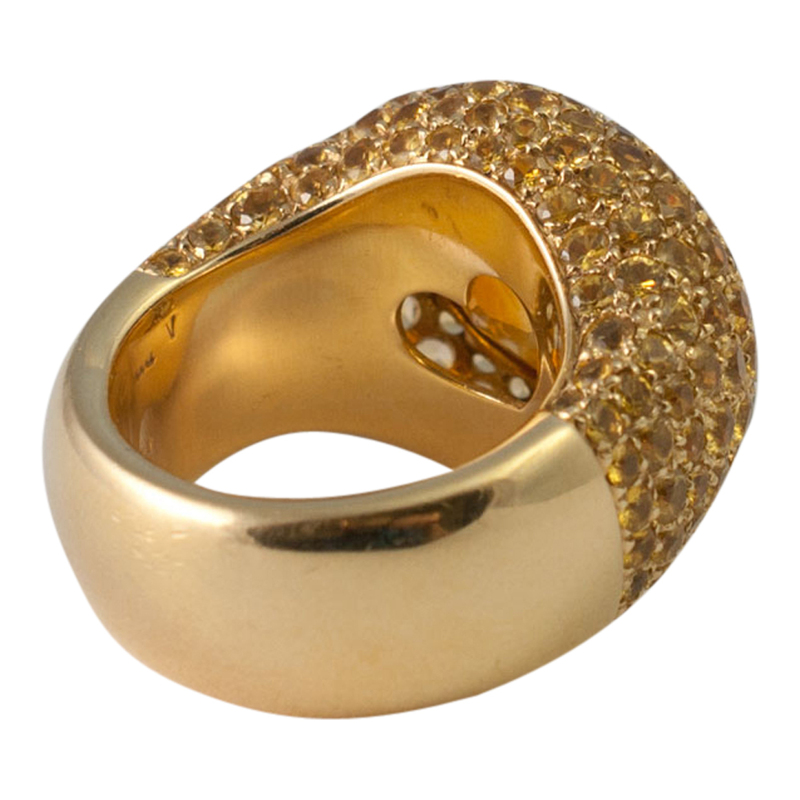 This is a dramatic statement ring, in a style well loved by us at Plaza! 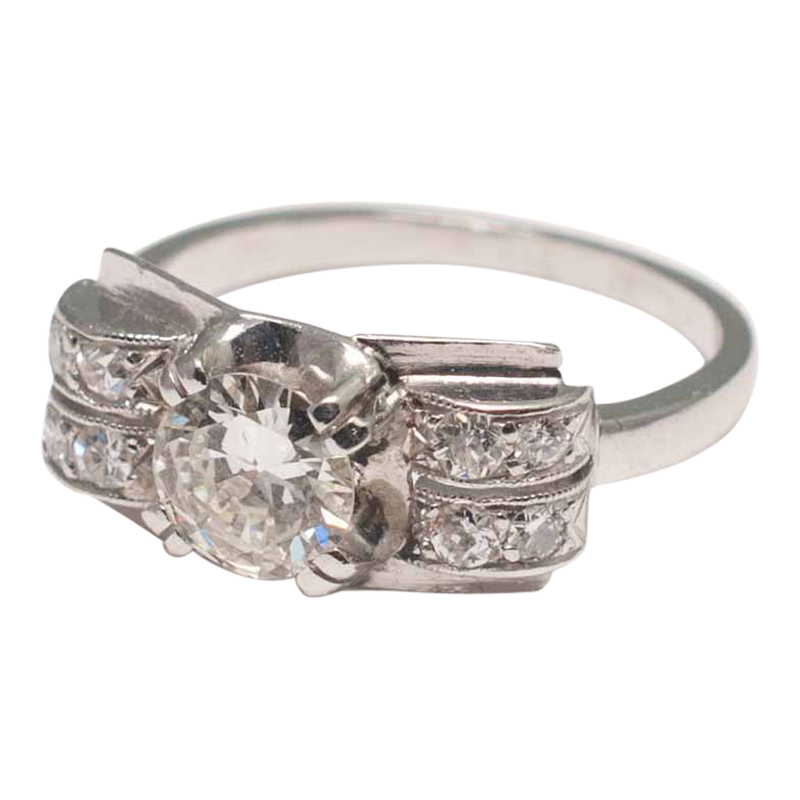 It is stamped 750 and has an Italian maker’s mark. 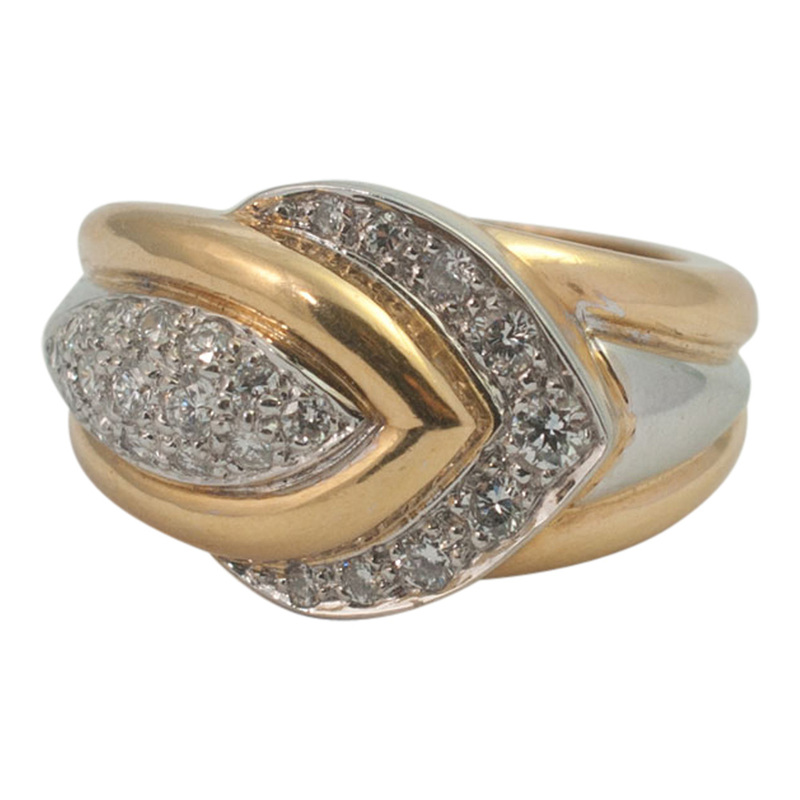 C.1980s; this was originally purchased in Milan and is in excellent condition. 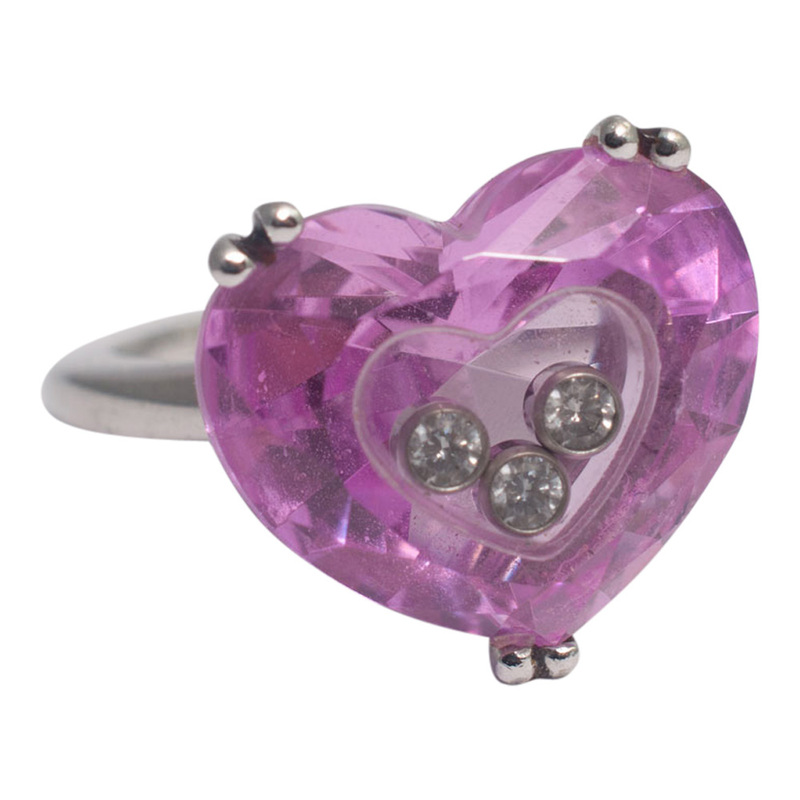 Finger size O (UK), 7.75 (US), 55.5 (EU) which we can re-size for you in our workshop.